While creativity is often associated with art in its most traditional sense – sculptures, paintings, photography – Jemison reminds us that scientific innovation is a work of art in itself. 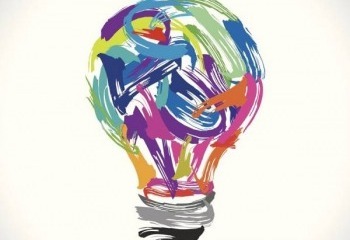 In fact, creativity is intrinsically tied to much of our work. Whether we’re building cutaways of our technology, discovering ways to detect disease, or creating a new method to store milk, finding answers to pressing global challenges requires the imaginative ability to see beyond pre-existing ideas. So this month, the links we love tell tales of artists both within and outside the walls of IV who, like Jemison, use the power of thought as their paintbrush – leaving their mark through inventions that improve our world. This month, IV spinout Kymeta reached a new milestone in its satellite antenna internet technology for connected vehicles. Find out about its successful demo of the tech from GeekWire. The technology disruptor connecting our world was also named to Fast Company’s top-10 most innovative companies in space. IV is working on a device to detect fake drugs that can be easily accessed in the developing world. Learn more in The Guardian about IV’s collaborative effort with the London School of Hygiene and Tropical Medicine and how it could save lives. At IV, we’re working to make Nikola Tesla’s dream of wireless charging a reality using metamaterials. Hear firsthand from IV’s Russell Hannigan on the technology that could be charging drones wirelessly in the near future. IV’s founder and CEO Nathan Myhrvold was featured in Eater, discussing everything from the art of food and the forthcoming Modernist Bread book, to cutting-edge nuclear reactors and his interest in dinosaurs. Global Good has teamed up with QuantuMDx on a mobile diagnostic test that could save the lives of hundreds of thousands of women in the developing world. The test – designed to be affordable, easy to use, and highly accurate – could significantly reduce cervical cancer deaths in the developing world. At IV, we’re working hard to close the gender gap in STEM and we aren’t alone. Find out the how and why more organizations are engaging girls in science from a young age. In less than a day, six undergraduate students from MIT created a device that could transform how the blind community reads. Don’t miss how these inventors transformed their ‘collective goal to change the world’ into a working prototype. An 11-year-old girl is bringing the worlds of medical and 3D-printed prosthetics together – with the artistic flare of glitter nonetheless. Learn about her world changing idea from Fast Company. Want more from IV on the art of invention? Subscribe to our blog and be sure to follow us on Twitter.